Our Grayton Beach campsite from the water. Site 20. It poured last night and most of the day today! The temperature dropped from 70 or so to the mid 50’s, and as damp days often are, it was chilly. But worst of all our Airedale Terrier, Woolly Bear, had an injured hind paw and did not sleep a bit last night. It seems that Florida has a type of burdock called a sand spur, and WB had one imbedded between his paw pads. Charlie tried to find it, and felt something as sharp as a needle, but even with headlamps, tweezers, and glasses we could not locate all of it. So off to the Vet’s we went. An hour later WB was quite subdued, but better. The spur had been there awhile, as his foot was inflamed and infected. No hiking for WB for the next few days! Beach mid day, still empty! 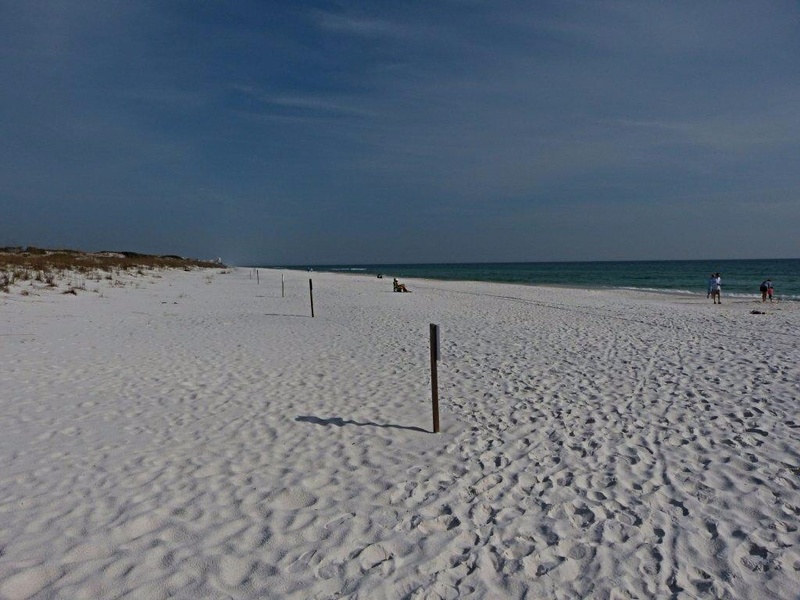 We hiked several of Grayton Beach SP trails yesterday, and apparently WB had picked the sand spur up on the trails. Tomorrow will be sunny, but cool, so WB will guard the camper while we hike at Pt Washington State Forest and his foot heals. This area is remarkable for the number of bike and walking trails. The SP itself is wild and untouched, but all around it is built up and congested in a planfull way. We took the opportunity to check out the towns of Water Color (don’t you just love the name! ), Santa Rosa, and Sandestin. 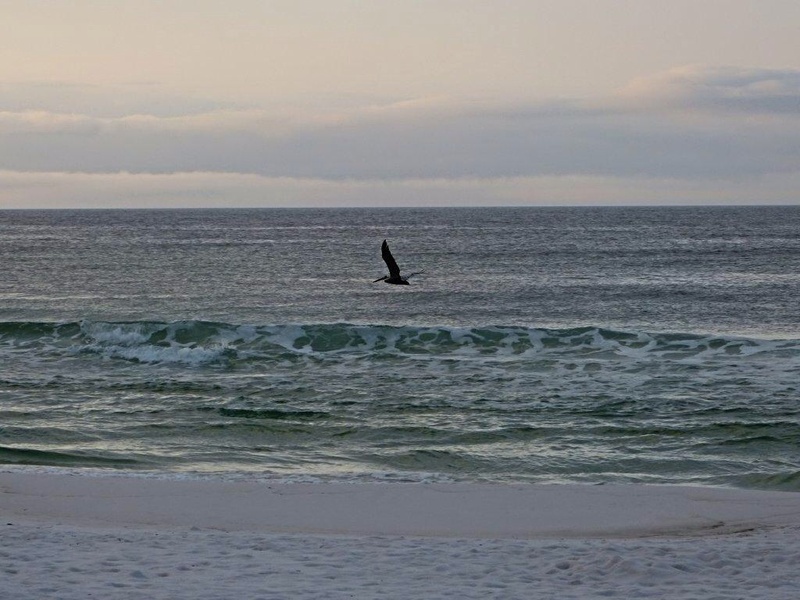 We drove the Scenic Gulf Drive and checked out all the fancy condos and resorts. Can you identify this bird? 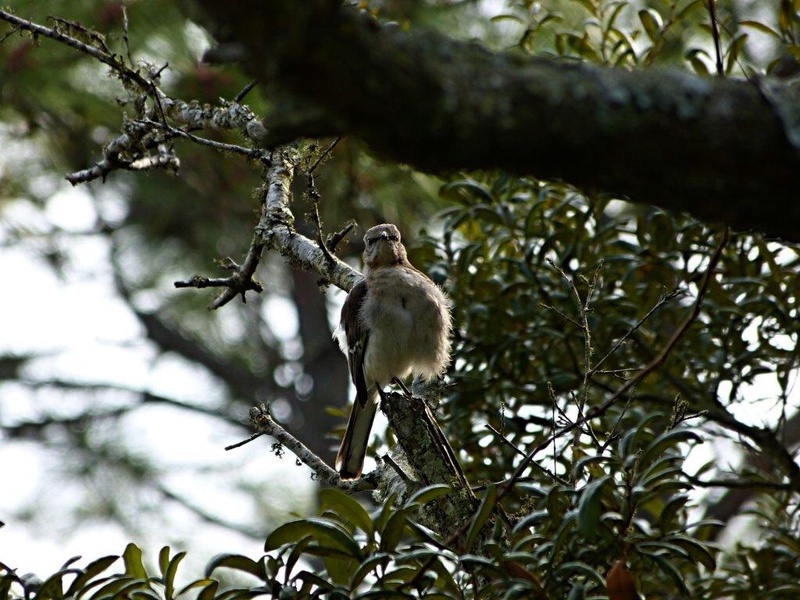 Mockingbird? 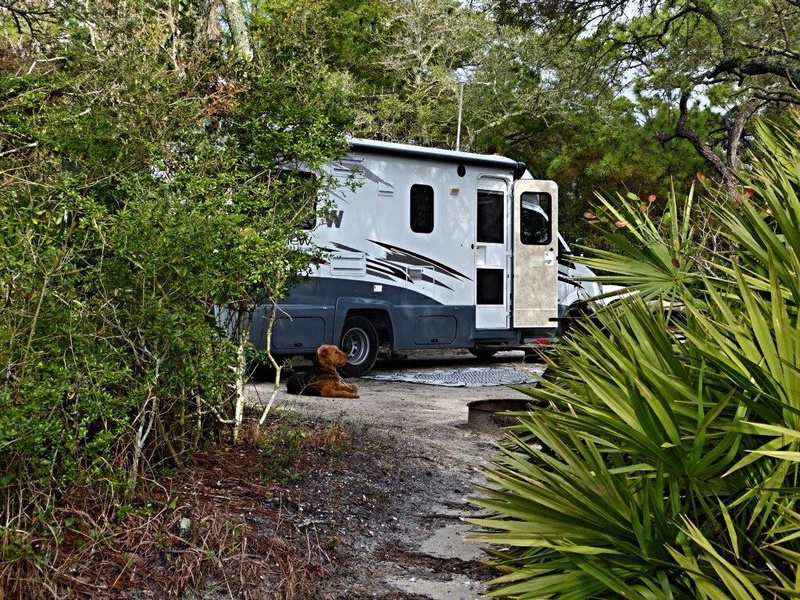 This entry was posted in camping, Florida, Woolly Bear on February 26, 2014 by Ramblin' Rose. Hope the weather gets better soon and WB recovers quickly. Thanks, Dot. WB is on antibiotics so he should be good as new in no time. We just had no idea the sand spurs were so nasty ! 50 degrees is still a lot warmer than what you have in Connecticut! So sorry to hear about WB’s injury, but glad he’s on the mend. Maybe he needs to get 2 pairs of doggie hiking boots…wish we could commiserate with you about the 50 degree temps, but it will get down to 10 degrees tonight and reach a high of twenty on Friday. Keep up the posts, they’re great! WB likes the doggy hiking boots idea! You are also correct about the temperature, 50 degrees is much nicer than 10! We camped there a year ago in an equally cold and rainy period. Pretty place but all I can remember is how cold I was. We had to get Cooper hiking boots while hiking in Maine a couple years ago as his paws were raw from hiking on the rock after a few days. They were the perfect fix! WB may just want to stay in the camper when you get to Arizona. The cactus needles are everywhere and nasty! I will have to look into the hiking boots idea! And thanks for the cactus needle warning.